This is a quick run-down of the Google Daydream View VR headset. The $79 Virtual Reality headset is the first model in Google’s new line of Virtual Reality headsets. The Daydream View headset is usable by anyone with a [easyazon_link identifier=”B01M01YX15″ locale=”US” tag=”arizonacaorg-20″]new Android phone[/easyazon_link] (running Android Nougat). With such a low price tag, the Daydream View gives millions of people the chance to experience VR using their Google phone. See below for details. The [easyazon_link identifier=”B01N7HXFEV” locale=”US” tag=”arizonacaorg-20″]Daydream View VR headset[/easyazon_link] has a price tag of $79 and was released November 10th, 2016. 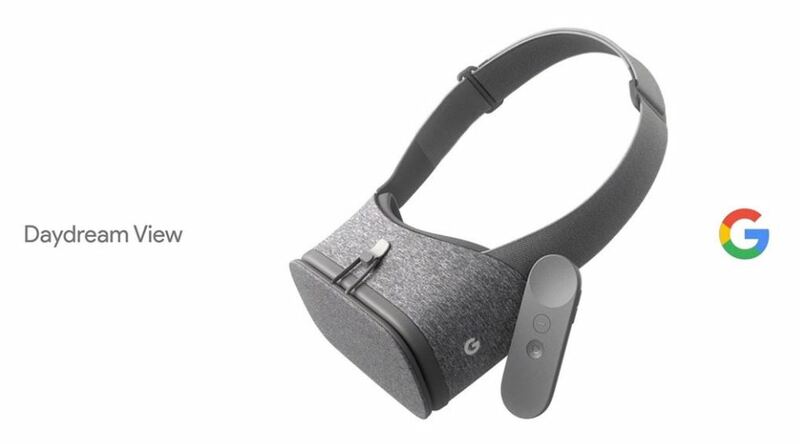 “View” is the model name of Google’s first VR headset in their line of VR headsets called “Daydream”. The Daydream View is currently powered by new Android phones, which are powerful, but not as powerful as a [easyazon_link identifier=”B01HNBLHAA” locale=”US” tag=”arizonacaorg-20″]gaming PC[/easyazon_link] or a gaming console. Therefore we can expect the Daydream View to have simpler content than the “major” VR systems. A newer Android phone is required, such as a [easyazon_link identifier=”B01M01YX15″ locale=”US” tag=”arizonacaorg-20″]Pixel[/easyazon_link] phone. The Android Nougat Operating System (v7.0) includes the files necessary to run Daydream View. So all you have to do to get Google Daydream View up and running is buy a new Android phone ($500+) and a Daydream View headset ($79). Google Daydream View won’t be competing with PS VR or Oculus Rift for a spot in the #1 Gaming VR Headset arena, but it does show that Google may be competitive in the casual gaming or “other VR apps” areas. What are your thoughts on the Google Daydream VR headset? Let us know on the KFire YouTube Channel.